The world’s heaviest parrot! 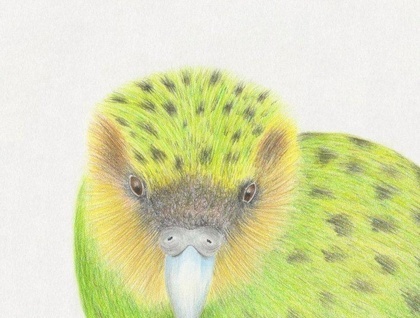 Kākāpō are far from ordinary parrots, though. They are nocturnal, can’t fly, but can climb trees. Kākāpō are herbivores so will eat berries, leaves and roots. There are only 125 individuals left in New Zealand and can only be found on Codfish Island (near Stewart Island), Anchor Island (Fiordland), and Little Barrier Island (off the coast of Auckland).